The transformation of cities and their surrounding regions, urban history and geography, social problems of urban life, design of the built environment, and past and present programs of urban planning are among the major themes in this multidisciplinary program. To develop within the student a deeper grasp of these issues through advanced study within at least one disciplinary approach. In addition to coursework in a wide range of departments, students gain applied experience by engaging in field research, taking courses in urban practice, completing an optional senior thesis or project, and doing field work with a governmental agency, community group, or professional organization. The program also offers a correlate sequence. 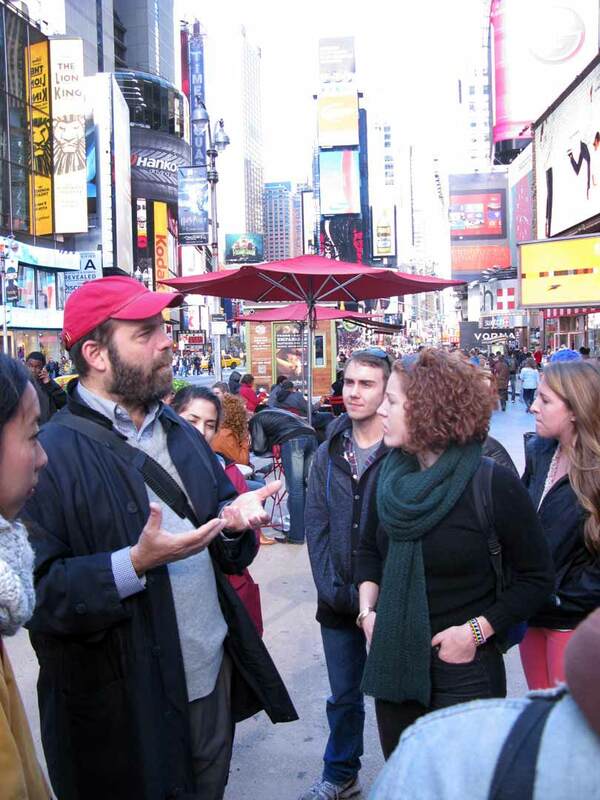 During a fieldtrip for a seminar on “Memory and the City,” students listen to the guide, Vassar alum Matthew Postal ’83.